WASHINGTON: A bill seeking to remove Pakistan from a list of America’s major non-Nato allies has been introduced in the US Congress, even though the Trump administration enhances its contacts with Islamabad in its pursuit of a peaceful end to the Afghan war. The resolution — introduced by Congressman Andy Biggs who, like the Trump administration, is a Republican — sets new conditions for future re-designation. If a US president desires to put Pakistan back on the list, he or she will have to certify to Congress that Pakistan continues to conduct military operations that are contributing to significantly disrupting the “safe haven and freedom of movement” of the Haqqani Network in the country. The president also has to certify that Pakistan has shown progress in arresting and prosecuting Haqqani Network’s senior leaders and mid-level operatives. The re-designation will require another certification from Congress that Pakistan has taken steps to demonstrate its commitment to preventing the Haqqani Network from using any Pakistani territory as a safe haven and that Pakistan actively cooperates with Afghanistan to restrict the movement of militants along the Afghanistan-Pakistan border. Known as Resolution H.R. 73, the bill has been sent to the House Foreign Affairs Committee for necessary action. Mr Biggs, a second-term legislator, has no cosponsor and his move will need a strong support from the Trump administration and the Democratic Party to pass a House dominated by the Democrats. In recent statements, President Donald Trump has clearly expressed his desire to withdraw at least half of the 14,000 US troops still stationed in Afghanistan. Senior Democrats — both in and outside Congress — have also said that the United States cannot remain involved in these apparently unending wars in Afghanistan and Syria. But before an ultimate withdrawal from Afghanistan, the Trump administration wants to ensure that the pullout does not lead to the collapse of the US-backed Afghan government in Kabul. To achieve this target, the US has initiated a series of dialogues with the Taliban leadership, hoping to make them participate in a future set-up in Kabul as partners of the Afghan government. The fourth round of US-Taliban talks, which was to be held last week either in Riyadh or Doha, had to be postponed after Taliban refused to sit with Kabul’s representatives. The Trump administration wants Afghanistan’s neighbours, particularly Pakistan, to use their influence to persuade the Taliban to stay engaged and accept the Kabul government. 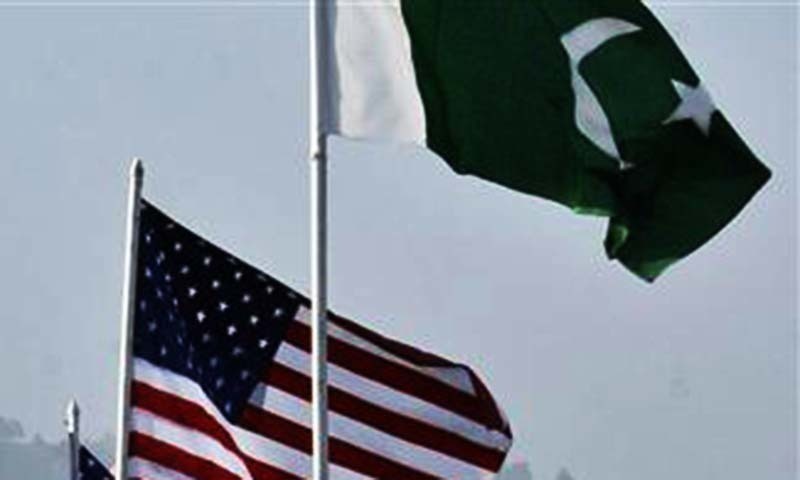 Washington believes that Islamabad can play a key role in making this possible. Last week, the US once again sent its special envoy for Afghanistan to the region with a task to convince Pakistan, India and China to work together to ensure the success of the Afghan peace initiative. 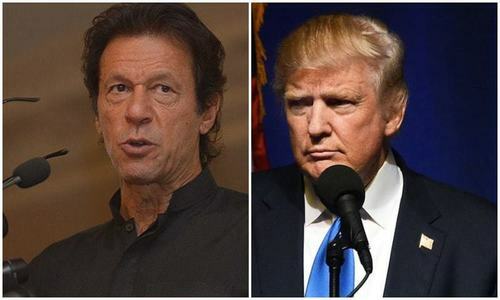 It is unlikely that the Trump administration would encourage any move to further isolate Pakistan in the present circumstances. Doublespeaking India behind this one as well, through its paid lobbyists. Will fail here as well. Pakistanis are aware and one. Desperate enemy. Sinister moves through lobbyists. This too shall fail. Do it quickly please. You don't do much for us anyway. But Trump just cannot Do it, can he? Win-win for Pakistan. Fine if they don't do it. Happier if they do. Poor Indian lobbyists won't gain anything. U.S can’t learn from past defeat and wouldn’t learn to mind their own business. Dictating is their policies and movie actions are their planning. In reality the rate of success is zero. Pakistan doesn’t need their scoring especially when Imran Khan is leading. Big deal. Actually Pakistan was never an ally. USA always used Pakistan as a tool to get their job done, not as an ally. Is the Haqqani network a real threat or an imaginary one? In any case the US won't need an ally if it's withdrawing from Afghanistan. Being a US ally was just an illusion. Makes no difference. @Hwh, You people got enough financial aid from United States. Whoever wrote this article did not do their full research. The bill has to pass Congress, and it will not even get to the level of President unless it passes Congress. If it passes Congress, that means that there are enough Democrats to support it, therefore it would be a bipartisan move to remove Pakistan from the Non-Nato ally list. US has lost many of its combat troops in Afghanistan and didn’t get support from Pakistan as they expected. America may no be any ally but can Pakistan afford the be an enemy. Policy makers in administration have a challenge on the hand. Great, brother. We are past US blackmail. But enjoy seeing see the confused trolls jumping around here now. Thank you. We do not want to be a major ally and fight USA wars. Excellent news. There is no benefit to Pakistan anyways. Pakistan is gradually moving away from US influence which is a good move. US is a friend of nobody today. Look at UK, Canada, Mexico, European Union and list goes on. @Fastrack, Easy. You seem to be upset and restless. As an ally Pakistan never got any preference anyway. Please go ahead. @Ahmed, Exactly not so. Pak did get CSF besides aid and grants. As far as non NATO ally status is concerned, the need for such alliance is eroding after better situation in Afghanistan, and sooner or later the US may pullout it’s forces. Like Turkey although a full fledge NATO broke the barriers in view of national interest and improved its relations with Russia as well. The EU members too are reluctant to share burden of money to NATO huge expenditures. Today the economic insterests have supercede the political alliances, Pakistan too sailing as per trend, and is no exception. @Fastrack, You are wrong here, India has friendly US Senators. It is crystal clear that US still distrusts Pakistan and do not wish continue friendly relations with it. We are. Or fighting the US’s war anymore. Period. @Fastrack, .. You are giving India more credit than it deserves. i think it is better this way, will help Pakistan get out of US influence but it does not mean Pakistan is not willing to work with them which US must realize. And also not to blame Pakistan tilting towards China or Russia. Good for us. China is our friend. Nawaz Sharif in prison is having his last laugh. Nawaz Sharif was doing much better than present administration without having a foreign minister or trying reset ties. Makes no difference. The US has always only been a fair weather friend. @Zx, Pakistan received $649 million in aid for education in 2015, the highest it had received so far. the aid had increased from $586 million in 2014 to $649 million in 2015.Pakistan Treasury received $8.647 billion out of US Congress approved, $18 billion in direct financial payments. $179.5 million out of $1.51 billion in US civilian aid to Pakistan was disbursed in fiscal year 2010. Courtesy of Wikipedia. @Last Word, You lost the trust, why, do the analysis. @Farhan, China a friend an illusion, introspect, what do they do to Uighurs and have supported Myanmar against Rohingyas. Hope this legislative measure doesn't materialize as it will generate unnecessary misgivings and misunderstandings in this all-important relationship. Considering the historic ties since early 1950s, Pakistan should always remain a major Non-NATO ally of the United States. Pakistan should reduce its dependancy on the USA. previous Pakistani governments became proxies of the US for the almighty dollar.Unfortunately the previous corrupt administrations siphoned most of the money and the Zardaris and Musharrafs benifited. Pakistan should diversify and build strong ties with Arab Muslim and Non Arab Muslim countries regardless whether Sunni or Shia. Pakistan should remain neutral. Its all a blackmail technique! Pakistan had never been considered an ally; at the most a tool for USA bidding! They can keep their bill and stuff it. You have served their purpose. Now they want to get rid of you not only as quickly as possible but also to list you as their enemy number one. After all they need someone to practice their newly developed weapons all the time and who can best that purpose than a previous so called 'friend'? US is becoming a failed state...........like USSR !! @Chacha Jee, "Nawaz Sharif was doing much better than present administration without having a foreign minister or trying reset ties." NS is still doing very well, his family still has billions. @Cathy, "US has lost many of its combat troops in Afghanistan and didn’t get support from Pakistan as they expected. "You don't get what you expect, you get what you negotiate. Once again, powerful "Yahoo's & Hanood" U.S. lobbies, interest groups and mafia cartels in full action. This is a very good move. With this, the influence of U.S. in Pakistan will come to halt. No more U.S. favourite prime ministers will be elected. No more U.S. funded advertisements and news channels. Lets the both nation go their separate ways. This signals the end of the US seeing Pakistan through an India-Pakistan framework, and seeing it as an Af-Pak issue. Needs a hard re-think in Islamabad what change this requires in its foreign policy. @Farhan, China is not your friend duffer. China is using your country for its benefits. If Pakistan gets dropped from this favorable grouping the PTI must take full credit for it as must the diplomats in the Foreign Ministry. @Fact (Kashmir, India), "China is not your friend duffer." Since when Indians decide who are Pakistan's friend, duffer? Please do it. We will be fully withdraw all support. Its good for Pakistan. @Fact (Kashmir, India), Chinese are loyal to friends and lethal towards enemies. India is the rogue in the region having gone into war and conflicts with all it's neighbours. @Khalil, The only idiots who don't know that are the Indians who have betrayed Russia to run and jump into America's lap, like a child. These same issues will be coming to India one day. The US plebian tribune on their way to maintain the status quo via nonsensible moves, preferring new ally over an old and time tested one is a sheer absurdity. @Ahmed, "Being a US ally was just an illusion. Makes no difference." More relevantly, will China, UAE, and KSA keep funding and propping our economy artificially? When sanctions eventually come at we as resilient as Iran had been?? @Chacha Jee, Can you explain how exactly. 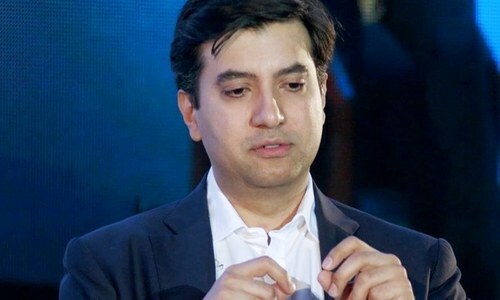 @Farhan, Well done, China did not come to help Pakistan when needs if that what you call friendship? @Fact (Kashmir, India), Agree with you. @Zak, Half facts, India is still friends of Russia, India is buying more from Russia than US. ( Sure you do not know this) Indians are more clever. @Just me , It does not mean that you are an enemy if you are not ally. Pakistan always want good relations with US and with its neighbours but not at the expense of losing our officers. @Cathy, I hope you are good at recalling history. Please recall Somalia, if still drawing a blank, I suggest you go to the nearest library read about US's misadventure in Somalia, it was Pakistan army that saved the day and rescued American soldiers. If not please watch "Black Hawk Down", that will give you some insights. So-called "war on terror" was an American war, not the world's war. Not a single Pakistani was involved in that 9-11 charade, yet Pakistan was threatened, that was the turning point for us. Iraq or Afghanistan had nothing to do with that charade either, but the US attacked both countries and came out empty handed. Your CIA and are the world's biggest organized terrorist organization. It was CIA and Mossad pulled off 9-11 (please watch French and German documentaries). I can go on venting days on. Either you are too naive or a just another from Trump's camp "a Muslim Hater" and who has no sense of honour. Indian Lobbying is the main force but who cares? What have we gotten from USA except for betrayal.